Sandy and I met about ten years ago while serving on a Society of Actuaries’ Post Retirement and Needs Committee project. She directed the MetLife Mature Market Institute for 17 years, and has unique insights into both the gerontology and financial aspects of meeting the needs of mature Americans. This presentation was delivered in live webinar format in 2014. Sandy’s comments have been edited for clarity and length. You can view a YouTube brief of the original presentation here. 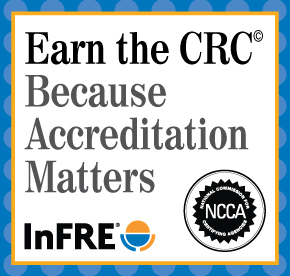 You may also choose to take the full length course and earn 1 CRC®, CFP®, and/or PACE CE credit. So what is happening now is the creation of a new life stage. This is a way to get you to think a little bit differently about the population that you work with. Say in 1900, you had three life stages; childhood, adulthood, and old age. And then somewhere around 1930, academics and adult development specialists thought, “Gee, a 16-year-old, they’re a lot different from a 6-year-old. Maybe there’s a new field of study,” and they created this period of time called adolescence. So then you had childhood, adolescence, adulthood, and old age. Today, I think we need to do something similar for the people who are in their late 50s, 60s, and into their 70s, and that’s create a new discipline, a new way of looking at the life stages. So you’d have childhood, adolescence, adulthood, and then, I’m calling it adulthood two. It could be the encore years. I know some people in financial services talk about the go go, slow go, and no go years, but I think this concept is quite interesting in that it is gaining some traction with writers and some thinkers. 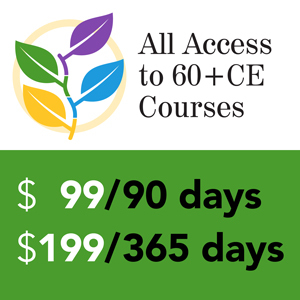 One exemplary organization that is making an impact is a group called encore.org. That’s actually their name, but they are not just online. They exist as an organization. They’re founded by a man by the name of Mark Friedman who wrote this book and has done a lot of work for the last 15 years to try to get us to look at this period of time as a new stage of life. He calls it, “The big shift,” this particular movement. You could say ‘Shift happens’ when you transition into retirement.” Two-thirds of the boomers indicated in the research that they would like to do something a little different, help give back to society if they could. But those opportunities really don’t exist, and what Encore is trying to do is to open that up. Businesses created by older people grew by 60 percent between 1996 and 2012. In fact, last year businesses started by those 55 to 64 accounted for nearly ¼ of all new businesses. As you think about your clients who want to stay in the game, if they’ve left a job they might not be able to go back into the same type of work, and may not want to. Starting a business could be an opportunity for them. It is trending. I had to mention this because there’s so much focus on life planning these days in my field, and I always feel they’re missing the financial piece, but boomers were always the ones who were willing to sit around in a discussion group and talk about their feelings and what they saw in their life. Fast forward this to retirement now, all these ideas are in play as they try to figure out what’s next – caregiving, work, re-evaluating what they want to do, what’s going to make them want to get up in the morning, where they’re going to live, what their health status is and going to be. The big takeaway here is to have you all think about the life span differently, and gain a better understanding of the psychology of the encore years. I know sometimes we say, “Oh, congratulations, you’re retiring,” and people are happy to retire in one way, but you have to understand there’s also some loss associated with that. You’ve lost a structure perhaps, and you’re also face to face with the realization that your time left is a lot shorter than it was before now that you’re not in a full time job. But you have so much to give, and I think by dividing it up into that new life stage, it does give you a new perspective. I think also if you look at the work trajectory, this is an opportunity to get your younger clients, in their 40s and 50s, to think about how they’re going to extend their work life. You’ve seen all those very grim figures about how long we’re going to have to work. I think EBRI, the Employee Benefit Research Institute, came up with some analysis and said we have to work until we’re 84, which sounds a little bit long to me, even if we do want to stay involved. So if you could get your clients to think about switching careers rather than hanging on, which is what a lot of people do now in their current job, it might be something that is invigorating and also more realistic. The life planning organizations are growing in my field. I know in financial planning there always was the Kinder Institute of Life Planning, but AARP has done market research and their major initiative is called Life Reimagined. Maybe they’re going to move, but they don’t want to go to a nursing home, a dreaded nursing home; they don’t want to go to assisted living. It’s not as much of a popular choice, particularly for boomers, and we know that most people do want to age in their own home. The problem is, it hasn’t always been so easy to do that when you begin to get frail, because there are not support mechanisms available. But now both the private sector and the government are moving in the direction of home based community care rather than sending people to an institution when they are not able to really function too well on their own. I think the government might see it as more humane, but also a possible way to save money, and there’s certainly a lot of people who are in the middle, our middle market, who are not eligible for most government benefits but who want to stay home too. This opens up a lot of opportunities for entrepreneurs. I believe in continuing care retirement communities for social reasons and other reasons, and this may work for some, where you go from your general community to perhaps an active adult community, 55 plus, with limited services, and then if you do need more care, you move on to continuing care retirement communities, assisted living, or nursing homes. A newer idea is aging in community, not as a continuum, but as a circle, and these are elements of the mature market institute worked with Stanford University on indicators of a good community where you can age in place, and these are things that seem very obvious but with all of these together, the social, the structure, the healthcare, safety, and support, it makes it more possible, at least theoretically. The village model, and there are about 200 of these around the country now, is like a virtual assisted living or continuing care retirement community without walls. People stay in their homes, they start out healthy, and then they can expect services as they need more assistance. It is membership based, so people pay a fee. They then can call a concierge and it’s staffed, but also volunteers play a big part in this. The people who are in the village are able to find out about aging services, and connecting with them. They’re also able to get a list of vetted private providers, including financial service professionals, reverse mortgage professionals, home remodelers, and geriatric care managers. Transportation is not only the big problem in the suburbs, but anywhere. Once you stop driving, you’re pretty much stuck in your house unless you pay for services or you call on your children or drive when you shouldn’t. It is a dilemma for many communities. One model is based on banking volunteer hours. So what happens is that people who don’t want to drive anymore give their car, and they get, in exchange, hours of driving back. Volunteers are drivers, and they can bank hours for themselves later on or for perhaps parents if they’re children of adult parents who live in Florida and they live in New York, they could do the driving up north and the credits would go to the parents themselves. There are 25 of these organizations. Each generation is more comfortable than the previous with technology. As caregivers, one way to keep your parent healthy and know what’s happening is to consider some of the technology that is being set up for the home, such as those lifeline devices that you can press if you’ve fallen down, or you aren’t feeling very well; makes it easier because then someone can trigger off an emergency system and get help right away. Boomers are going to be very up for this. I thought the cost figures were interesting. They’re willing to pay for the technology so they can stay home. There’s also a big influx of sites, websites, and programs to help people keep their brain fit. It’s like the next frontier for physical fitness, and I think it’s a really valid point, because neurons do continue to grow if you keep your brain stimulated. Perhaps the hope is that people can avoid Alzheimer’s and dementia. That has not been proven, but there may be some evidence that you could delay the onset. We all know there are a lot of financial ramifications around caregiving. Some studies have shown it is $5,000 a year that a caregiver spends out of pocket if her parents are living somewhere else or severely impaired. Buying supplies, trying to figure out financing for your mom and dad, deciding whether to leave the work force. Maybe you really shouldn’t because if you do you’re going to have a hard time getting back into it perhaps, and then the other thing is you’ve lost opportunities to accumulate wealth. Take a look at some of the caregiving sites, some places where families can get together and communicate to each other, they have their own online box, like a caregiving box. It’s something your clients may be very interested in and you might learn a few things about what is available. Don’t underestimate your clients’ ability to use technology, and be willing to help them if needed. The caregivers are a prime market, too, on home technology and finances for parents as they are faced with their own financial situation for their own money that they might spend out of pocket as well as trying to look after their own parents’ finances. The typical family isn’t typical anymore, our whole vision of mom and dad with two kids at home, and the other factor that is certainly changing is the growth of minority populations. I believe that the Caucasian population will actually be a minority in California by the year 2020 or 2025. So for financial services, it’s turning into kind of a different ball game. Married couples with children under the age of 18: In 1960, that represented 45 percent, and today it represents 20 percent. So it is quite a different approach when you have all these other family types to deal with, and yet I believe that so many people in financial services still go after the couple with children at home. Granted, they do have the resources perhaps and some needs, but you’ve got these other types that offer opportunities and also need services. The growth of people who live alone has increased since 1960, and that has a lot to do with aging, and it also has a lot to do with females living alone in their later years who, or even in their 40s, 50s, 60s, who need some assistance. Niche retirement communities such as one designed specifically for Asians, people who are perhaps parents of some of your clients who don’t speak English very well, and even if they do speak English they are interested in the cultural components of retirement. Again, like-minded people, where the food might be different and the way of retirement living would be different as well. So many of the adult children have been struggling, and a way to help the adult child is to for grandparents to help the grandchild with some basic needs, even clothing. The expenditures on clothing have gone way up. But some researchers say this is a $50 billion a year market, and advice around what they should be doing, should it be putting the money in a college fund, should they help with down payments, and how much should they be spending on their grandchildren when they have their own retirement to worry about? Those are things to ask your clients, because it is really a growing market. The aging market is a woman’s market. There are some really good resources out there. Wiserwoman.org, which is an organization called Women’s Institute for Secure Retirement has a lot of resources. But many companies have zeroed in on the women’s market, what is it and how to really help someone think about aging, because so many women will be aging alone. Many professionals in the field of aging are in their 50s ready to think about retirement and not knowing much about it at all. These are primarily people from social work, from other sorts of services where they wouldn’t have a lot of financial background, and they’re probably mainly in the mass affluent market, though some people have worked in the government and still have defined benefit plans. They really are looking for help and don’t know where to go. There’s an opportunity for financial service professionals to actually help this group. The other reason I believe it’s important, is because these people are the influencers in their communities, and they are subtly persuading or influencing the seniors who they work with about the private sector and insurance companies, and banking. So changing their viewpoint of the services that financial services can provide is a very important goal in the over all, and it actually will help individuals as well. In 1965, Congress passed the Elder Americans Act, and that is an act that authorized a number of the basic aging organizations; the Area Offices on Aging – there’s one in every community in the United States, by county or by regions – and then a whole range of local service providers, like senior center providers, providers who take care of meals on wheels, and then of course consumers. So getting to know this network could be very helpful for a whole range of reasons. The other thing that’s happening, and perhaps because there is so much interest in aging in place, and also because government services are stretched and really focused primarily on low-income people: service providers are springing up in every community. I had mentioned the National Aging in Place Council as a group that is trying to pull this together. If you think about it, you have your professional services such as elderly attorneys, funeral homes, banks, financial services, then you’ve got home and community services that are private. They could be everything from specialized moving services, there are a number of these that are geared specifically to senior moving, home remodeling, that’s really big if people want to stay in their own home, and of course the other services, pharmacies, geriatric care management. It’s worth a look at these to get to know what’s out there, first to help your clients who want to know what they need to do for themselves or their aging parents, or for referrals for your business, and I think that has been working for people. The elephant in the room for professionals in the aging field is long-term care. Like others, they haven’t planned sufficiently for what they are going to do about it. They really want knowledge about long-term care insurance, reverse mortgages, and they want to know, what about an annuity? When I was at MetLife, we did some research on what are boomers’ biggest concerns, and the biggest one turned out to be providing for long-term care for myself, for my spouse, or my partner. So there may not be an easy answer right now, but it is something that is on people’s minds and there are some product sets in addition to long-term care insurance that may somehow help, and at least in the planning, get people to think about it. The aging field is generally not familiar with products. Their orientation is to government services. They could be a little negative, yet they’re the gatekeepers and influencers, and so it would be a really good idea to get to know the network in your community and do seminars with it and change impressions and bring business. New aging in place options and how to pay for them are front and center for a lot of people, particularly boomers and boomers for their parents. I’m for careers and retooling. Really we should be planning for that in our 40s and our 50s and getting our clients to think about a whole career trajectory that’s different than it is now. The technology opportunity is there and it’ll grow and it will open up opportunities for the middle market. The family types that we’ve seen, the changes in the family; we have to change our practices to parallel that, so we need to figure out how to do it. Holistic planning, the life planning, is gaining traction with boomers, and they’re wondering what’s next. These are all the elements that someone will think about as they make this transition from work to this brave new world of retirement, however we want to define it. For all of these elements, there are financial ramifications, and things that financial advisors can do to really help people have financial security and also lead a more fulfilling life. 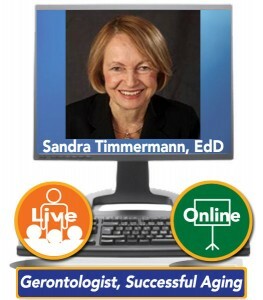 Sandra Timmermann is a Doctor of Education and a nationally-recognized gerontologist with a focus on aging and its relation to business. Sandy was the founder and Executive Director of the MetLife Mature Market Institute, which was disbanded in June 2013. The Institute was the company’s center of expertise, strategy, and thought leadership on the 50+ market, providing customer insights, content development, research, education, sales support, and visibility for MetLife and its business partners. Prior to joining MetLife, Sandy held senior staff positions with several national aging organizations including the American Society on Aging, AARP and SeniorNet. 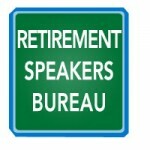 Sandy’s areas of expertise are focused on global demographic changes and on retirement life stage issues on subjects ranging from retirement finances, family needs and intergenerational relationships, housing and aging in place, employment, health and long-term care, and other transitional topics. She writes for professional publications and is the Financial Gerontology columnist for the Journal of Financial Service Professionals. 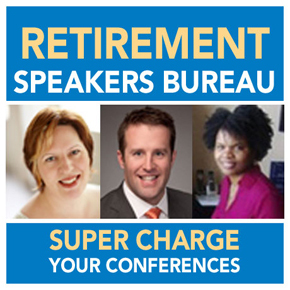 She is a frequent speaker on aging issues at national conferences and seminars, and has been interviewed by major media including the Wall Street Journal, the New York Times, USA Today, MarketWatch, Bloomberg and many others. She has served in leadership capacities with a number of national organizations including the Board of Directors of the American Society on Aging, the Chair of the Board of Directors of the National Alliance for Caregiving and the Chair of the Business Forum on Aging. Sandy was a delegate to the 2005 White House Conference on Aging, and holds the Gloria Cavanaugh Award for Excellence in Training and Education, which is presented to individuals who have demonstrated continued excellence in training and education in the field of aging.